Cap badge of the 2nd Gurkha Rifles. It is recorded that Rifleman 10073 Tule Ale was a member of 3/2 Gurkha Rifles on Operation Longcloth. However, his column placement is not confirmed from within any books, diaries or other writings for 1943. Rather fortunately, I have recently been reading through copies of The Kukri, the journal of the present day Brigade Of Gurkhas. In the issue for 2013, I discovered the following obituary for Tule Ale, who as you will read, rose steadily through the ranks of his Regiment. Tule Ale who died on 13th August 2012, was the last serving holder of the IDSM in the British Army, when he retired in April 1970 from being Gurkha Major of the 2nd Battalion, 2nd King Edward VII's Own Gurkha Rifles in Brunei. His was a life that spanned huge events in our Regimental History, having served in No. 2 Column on Wingate’s first Chindit Operation in 1943 and in Nick Neill’s B' Company at Tamandu in the Arakan Campaign of 1945 where he was awarded the IDSM, the Indian Distinguished Service Medal. Tule Ale enlisted into the 2nd Goorkhas on 14th October 1940 and after completion of recruit training at Dehra Doon was posted to the 3rd Battalion which in 1943 formed a major component of Wingate’s first Chindit operation. 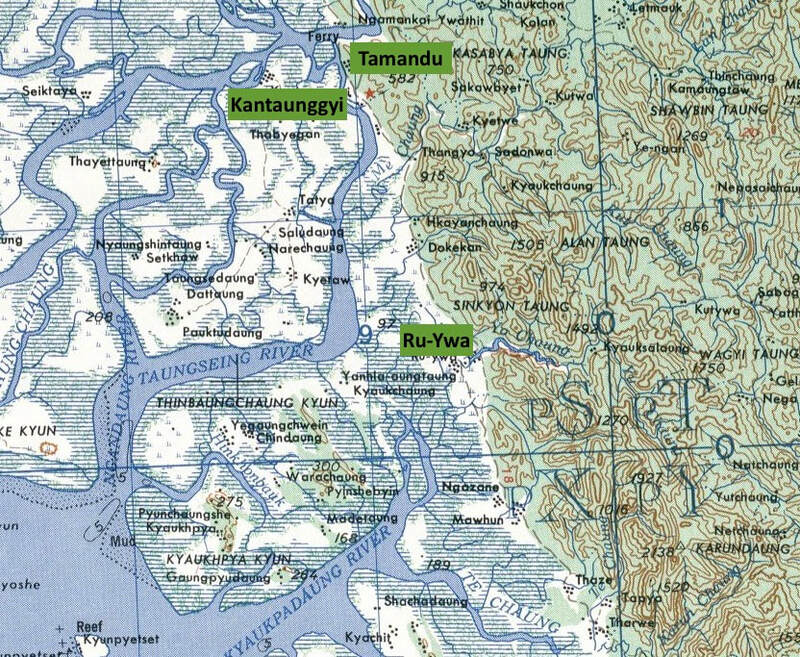 The operation was designed to show that British forces could beat the Japanese at their own game in the Burmese jungle, by getting behind their main forces east of the Irrawaddy River and taking out key communication centres whilst Stilwell’s Chinese attacked from the north. In the event Stillwell’s attack never materialised and so the Chindits went in on their own. To a certain extent, Tule’s No. 2 Column were lucky, as having bumped a large Japanese force short of the Irrawaddy, they turned back early and returned to India as a cohesive body and in contrast to the rest of the force. As a result of Wingate’s controversial scatter order given after the Chindit bridgehead was attacked on the Irrawaddy, the other columns after some successes, mostly degenerated into small groups of starving fugitives ruthlessly hunted by the Japanese. Even so on their way back to India Tule’s column suffered extremes of hunger and thirst, but keeping together and helping their wounded, got back exhausted but in one piece. In December 1943, British forces for the second time tried to wrest the western Arakan peninsula from the Japanese and in bitter fighting slowly forced the Japanese back until, by early 1945, they were poised to take the key port of Akyab from the enemy. As part of this operation 3/2nd Goorkhas were tasked with taking the two key hill features nicknamed Snowdon and Snowdon East near the village of Tamandu. Although 3/2nd had artillery support it proved largely ineffective against the deeply entrenched bunkers of the Japanese, so that in the end the positions had to be taken by infantry assault. 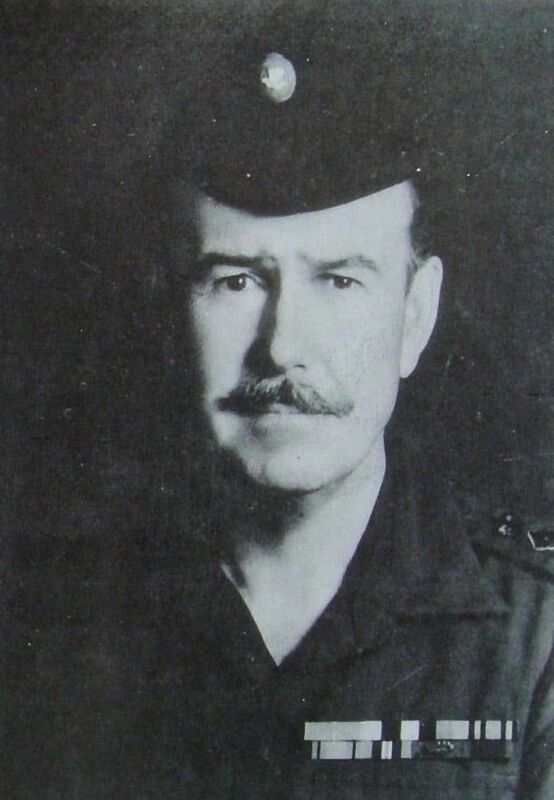 The company commander Major (later Colonel) Dominic Fitzgerald Neill used Naik (Corporal) Tule Ale to do a reconnaissance of the Japanese position during which he identified five machine gun nests, as a result of which Nick Neill based his plan of attack. During the ensuing battle Nick Neill wrote of Tule: Naik Tule Ale himself led the attack and was the first to reach the foremost enemy trench. This he attacked single-handed killing the two Japanese occupants with his Tommy-gun. He then called forward those left alive in his section and put them in position in the captured trench. Naik Tule’s final objective was now only fifteen paces away and was a trench holding four enemy. Ordering his Bren gunner to give him covering fire he again went forward alone to attack the position. With the greatest of bravery Naik Tule Ale charged this trench and, hurling two grenades into it, killed all four Japanese. In the last stages of this desperate battle, Rifleman Bhanbhagta Gurung gained the Victoria Cross for single handedly taking out the final Japanese positions. Naik Tule Ale received the IDSM for his actions and 2GR received the battle honour Tamandu. After the war Tule joined 2/2GR when 3/2nd was disbanded. Nick Neill was again his Company Commander and now, as a Lieutenant (QGO), Tule commanded a platoon on operations against the communist insurgents in Malaya. Later, he was put in command of 99 Brigade Defence Platoon where he quickly gained the good opinion of the Brigade Commander, one Walter Walker. He then returned to 2/2GR to be Company 2IC of B' Company during the Borneo Confrontation against Indonesia, with Nick Neill now as Battalion commander. After Borneo, a huge run down of the Brigade of Gurkhas started and it looked as if Tule Ale would have to go on pension. However, just as he was about to organise his repatriation to Nepal, the Gurkha Major of the 2nd Battalion suddenly died in his sleep and Tule was called in to take over. It was a terribly difficult time for the Brigade having to make hundreds of soldiers redundant on pitiful terms, but Tule proved a rock of sound sense and his good advice helped the two 2/2GR Commandants, Tony Harrison and Johnny Lawes to make the best of an incredibly hard job. Our thoughts go out to Tule Ale's family on the death of a very brave and distinguished Gurkha. 3rd Bn, 2nd King Edward VII's Own Gurkha Rifles (The Sirmoor Rifles). 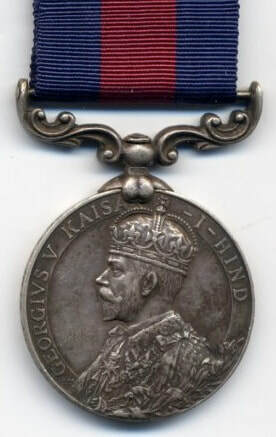 Awarded with the Indian Distinguished Service Medal. In the region of Kantaunggyi, Arakan. No.10073 Naik Tule was section commander of the reserve section of No.4 Platoon, B' Coy which attacked "Snowden East" Map point 912164 from the West on 5th March 1945. Naik Tule’s platoon commander went forward with leading section on the left flank. They were met by very heavy machine gun, rifle, grenade fire from the top of the objective and cross fire from two mounted machine guns from a bunker on a small feature 50 yards to the North of “Snowden East”. The platoon commander and whole of this section, with the exception of one man, all became casualties. On seeing this, Tule, on his own initiative and without waiting for orders, led his section forward under this very heavy fire, passed through the first section and started to attack the two enemy positions on the West side of the feature. Naik Tule himself led the attack and was the first to reach the first enemy trench. This he attacked single handed and killed two Japanese occupants with his Tommy gun. He then called the remains of his section up, which now only consisted of the Bren No.1 and 2, the rest having being either killed or wounded, and put them in position in the captured trench. Tule’s last objective was now only 15/20 yards away and was a trench holding four enemy. Ordering his Bren gunner to give him covering fire, he again went forward alone to attack this position. With the greatest of bravery Naik Tule charged the trench and hurling two grenades into it he killed all four Japanese. The manner in which this N.C.O. carried out his orders and captured his section’s two objectives by himself was outstanding and greatly assisted his Company to capture its objective. 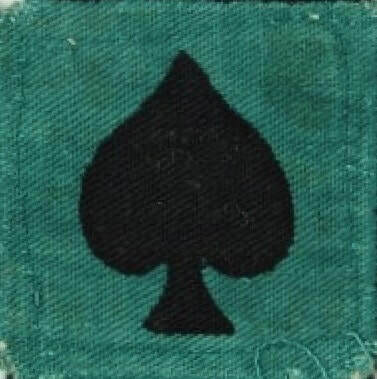 Recommended by Major A.G. Hayter, Commander 3/2 GR. Seen below is a gallery of images in relation to this short narrative. Please click on any image to bring it forward on the page. Copyright © Steve Fogden and the Editor, The Kukri Journal, December 2018.